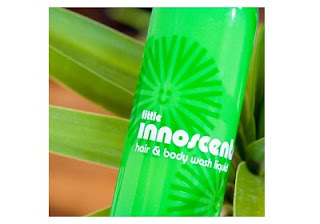 The brand’s top selling product is the certified organic LITTLE INNOSCENTS body and hair wash. Deeply cleansing, refreshing and bursting with essential oils of Spearmint, Lavender and Sweet Orange this is truly heaven in a bottle! It’s gentle enough to use daily, with a low suds formula (which means it has no chemical nasties) that still effectively removes dirt and grime. pH balanced, low allergen and perfect for even the most delicate skin. You can also check us out at Toys R Us, Selected Mothercare stores, Amcal, Guardian, Thomas Dux and health food retailers. Perfect for any mother wishing to use natural and certified organic products on their precious little babies. Antonette Golikidis is the creative face behind Little Innoscents - the show stopping babycare brand that’s one of the fastest growing labels on the Australian market. In less than four years Antonette single handedly developed a brand that’s now stocked nationally. Antonette grew the innovative eco-conscience business from her Melbourne home out of desire and frustration for a chemical-free solution for her baby. Antonette searched in earnest for products with all-natural ingredients and claims of ‘organic’ that you could trust and couldn’t find any – so she created her own.